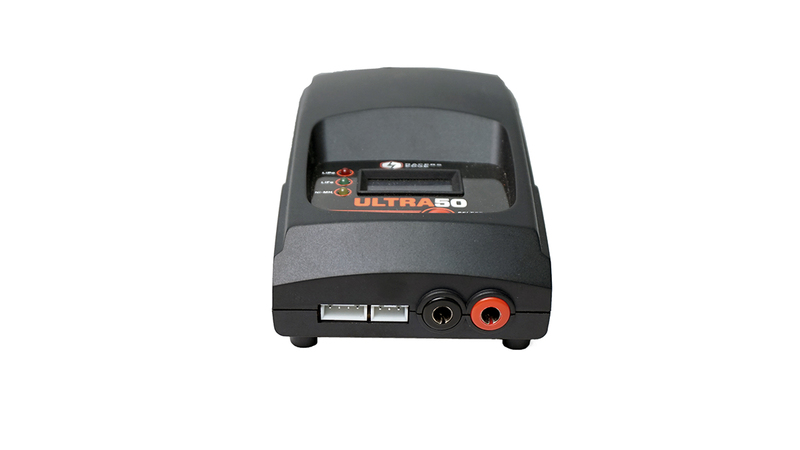 The Ultra 50 Multi-Chemistry LCD Charger is the ideal charger for virtually any battery type used in R/C vehicles, including Lithium Polymer (LiPo), Lithium-Ion (Li-ion), Lithium-Iron Phosphate (LiFe), Nickel Cadmium (Ni-Cd), and Nickel-Metal Hydride (NiMH). 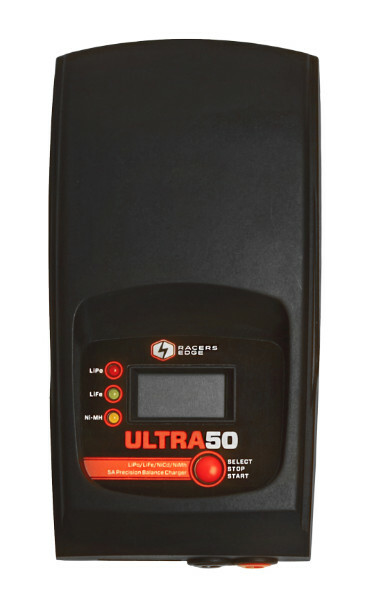 Conveniently powered by any 110v source or wall outlet, the Ultra 50 features an easy-to-read LCD screen and simple menu options accessed through one button. 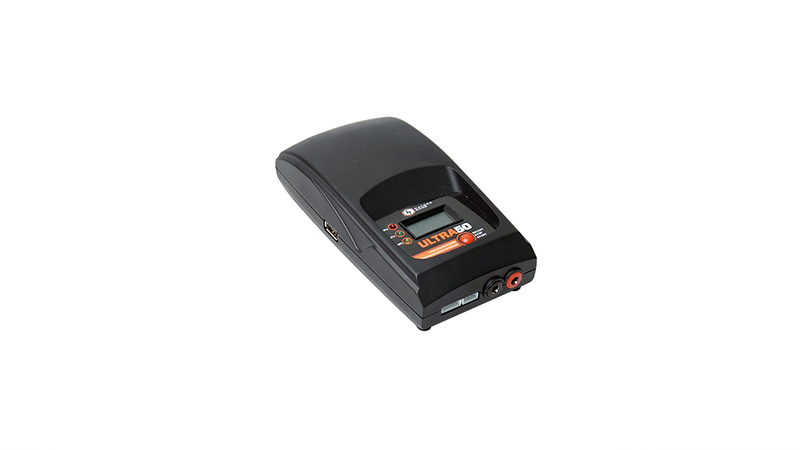 A powered USB outlet is also included for charging phones, tablets or other electronic devices along with a T-plug charging lead. 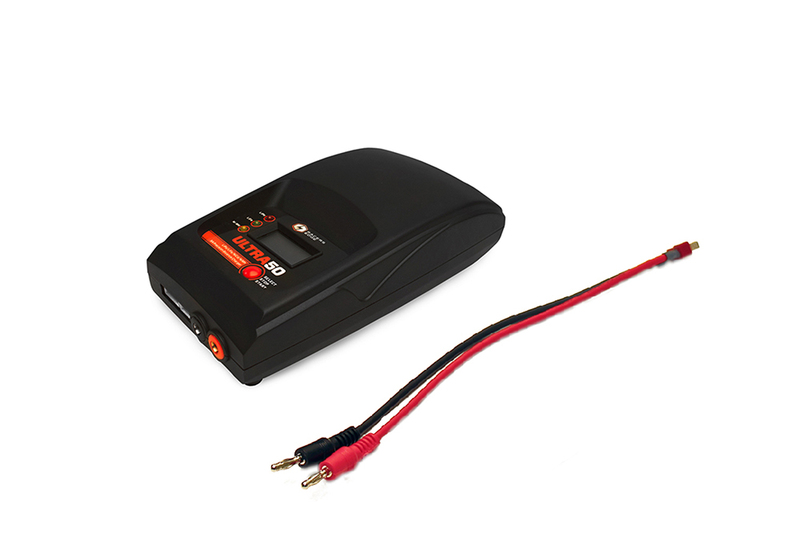 Charges up to 3S (11.1v) LiPo and 8 cell (9.6v) chemistries at a maximum of 5A, while the compact size and durable construction make it a welcome addition to any modelers workbench and the 5-year warranty guarantees satisfaction.